Etihad Airways will wet lease a Boeing 777-300ER from alliance partner Virgin Australia for use on services between Abu Dhabi and Kuala Lampur. The Gulf carrier said the leased aircraft would make one return trip per week as part of Etihad’s daily 777 services between Abu Dhabi and KL. The leased aircraft is outfitted with 33 flat-bed seats in business class and 328 economy class seats. 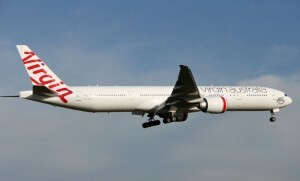 Etihad said the agreement built on a ten-year strategic partnership signed with Virgin in 2010. “This new agreement expands our successful partnership with Virgin Australia which already provides our guests access to Australia and elsewhere on our combined network of more than 150 destinations,” said Kevin Knight, Etihad’s chief strategy and planning officer.